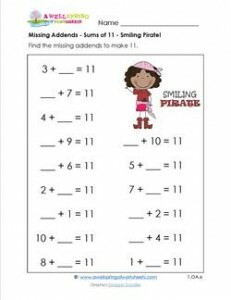 This smiling swash buckling sweetie has come with 15 missing addends problems with sums of 11. So get to it … or she’ll steal your buried treasure! AYE!